Perfect (vegan) Pie Crust. ..pop-up Pie Series! Pie. My latest recipe obsession. 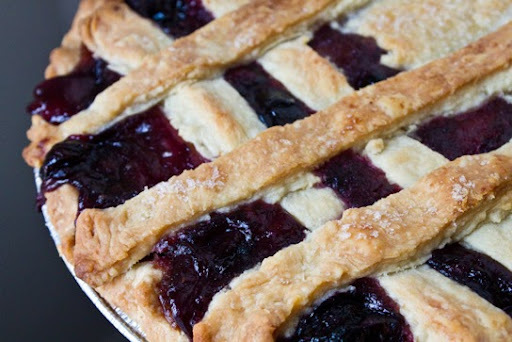 It all started with my Blackberry Pie I made a few weeks ago, then bloomed into my obsession for perfect pie crust, and soon came Cider Caramel-topped Apple Pie and then Blueberry Pear Pie. All vegan. (I think frosty weather inspires pie baking.) 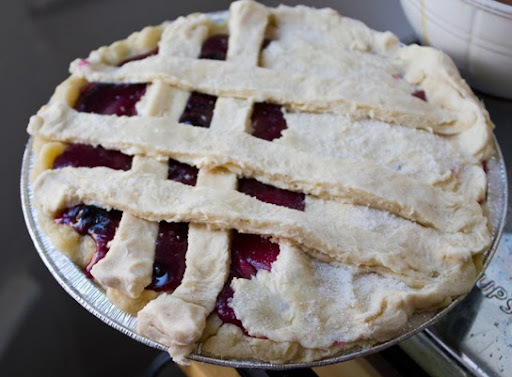 ..So this mini pop-up pie series is born..
First up, the most basic element of pie: the crust! This is my Blueberry Pear Pie. Recipe later this week. (crust first - then pie!).. 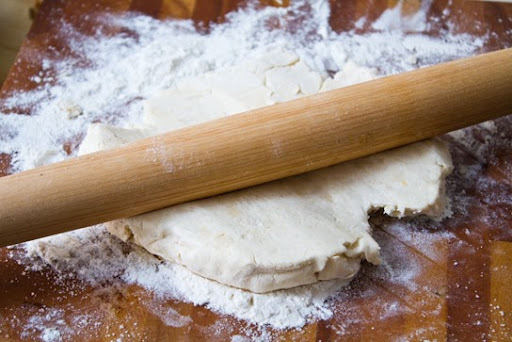 Pie crust (vegan or not) is a mystery to many. 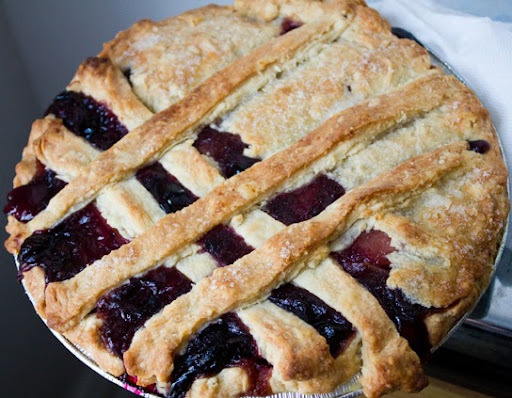 With frozen pie crusts being so readily available, it can be hard to convince yourself to put in all the work, effort, mess and clean-up that goes into a fresh crust -- that is, it's hard to convince yourself until you taste the results..
Homemade fresh pie crust becomes buttery, flaky, moist and crisp all at the same time. Fresh from the oven, it melts in your mouth and hugs your pie ingredients perfectly. 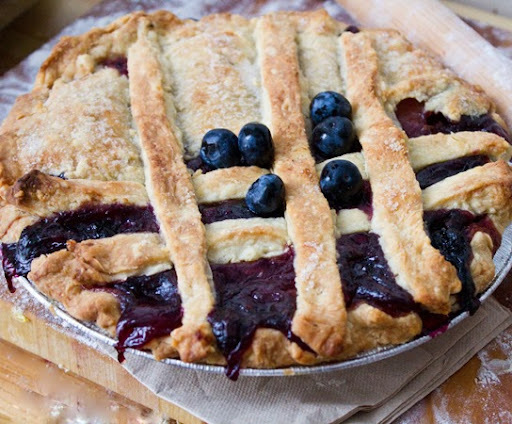 Fresh pie crust is a must-try for any curious cook. It's nice to have the skill in your back pocket just in case you ever need it! Fresh vs. oh-so-easy Frozen? To me, frozen is easy. Fresh is better. Much better. But frozen is so darn easy!! In fact, my first round of apple pie for this series used frozen crusts (from Bread and circus WF as well as one from Wholly Wholesome). But when I made from scratch crust - I remembered how enjoyable a process it is and how delicious the results can be. Vegan Crust. 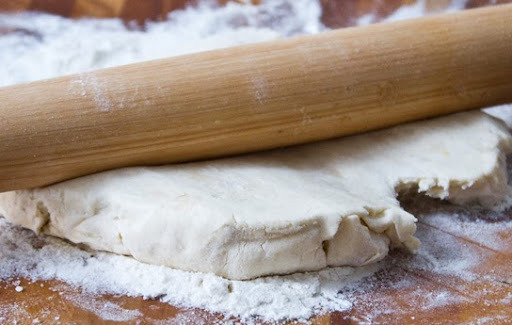 The basic ingredients for any pie crust (vegan or not) are simply: flour, water, salt and butter (maybe a pinch of sugar too). And you can tell all your non-vegan friends that vegan pie crust is basically equal to dairy-based pie crust. (Let them taste for themselves). The only difference is that you are using a stick of vegan butter instead of dairy butter. If you want a classic, full-fat, buttery pie crust - you can make a vegan one. I know, I know, vegan butter and white flour isn't exactly nutrient dense or low in calories. 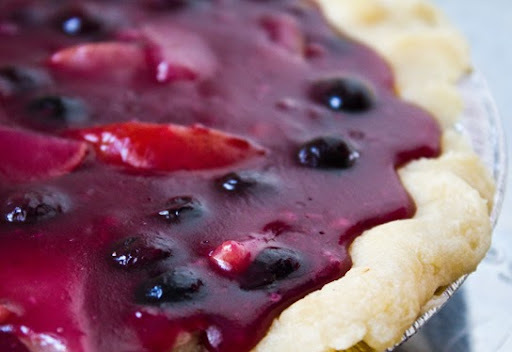 Vegan pie crust can be insanely delicious - but not exactly healthy. But for a "in moderation" dessert, totally worth splurging. What is -> "Vegan Butter" - also called Vegan Buttery Spread. I used Earth Balance brand vegan buttery sticks. * Make it healthy -> If you don't want a classic/rich pie crust, you can certainly reduce the fat content and upgrade the flour quality. Spelt, whole wheat, soy, nut and even coconut or potato flours are all interesting prospects for pie. You can use just a splash of canola oil, coconut oil or another favorite. See the links at the end of this post. 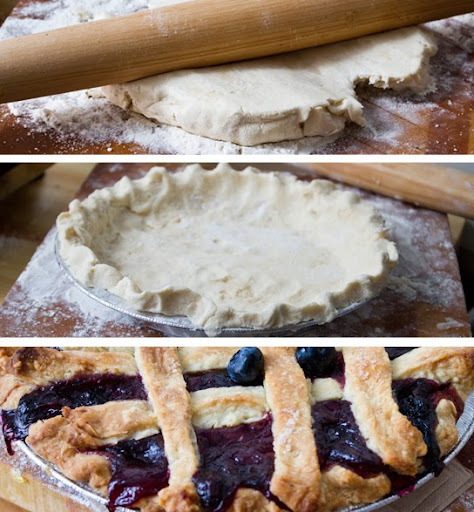 Pie Crust Method. My key points: freeze your vegan butter at least 1/2 hour before working with it, use white fresh flour for a basic white crust (chill your flour too for best results), make sure the water you add is ice water (well chilled) and for best results use a food processor. So enough of the chatter, lets make a crust!.. 1. 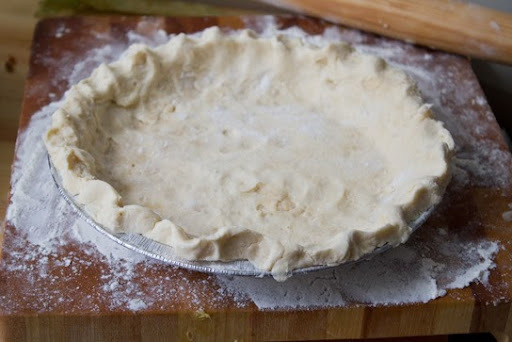 Start your crust process either the night before or at least 2 hours before you will need it to make your pie. And stick your buttery sticks (chopped into cubes) in the freezer for at least a half hour to chill before using. You can also chill your flour. 2. Start by pulsing the flour and salt in a food processor. 3. Add in the vegan buttery sticks and pulse until the flour/butter/salt turns into a clumpy dry mixture. You want all the butter to combine with the flour and become dry little beads. 4. Next, add in your chilled water a little bit at a time (you can also add in a splash of vanilla extract and pinch of sugar if you'd like). I usually use 1/3 - 1/2 cup ice water. 5. When your dough is now 'wet' you can transfer it onto a floured surface. It's OK if it feels 'sticky' at this point. 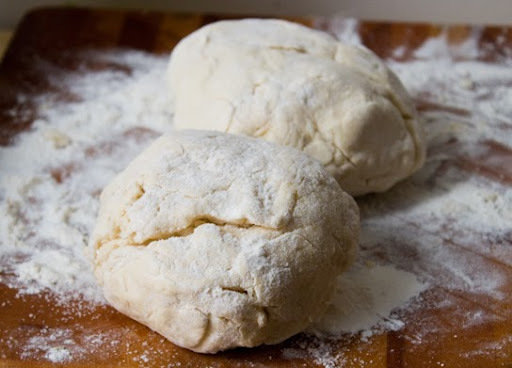 Add more flour to properly work with the dough. Also, if there are a few clumps of buttery spread, that's OK too. The vegan butter clumps will melt nicely in the baking process anyways. 6. Separate your dough into two rounds. They will be incredibly soft and delicate right now. Satiny and fluffy. Wrap them in plastic wrap and place them in the freezer. Freeze these balls for at least an hour before working with the dough. You can freeze overnight if needed. 7. 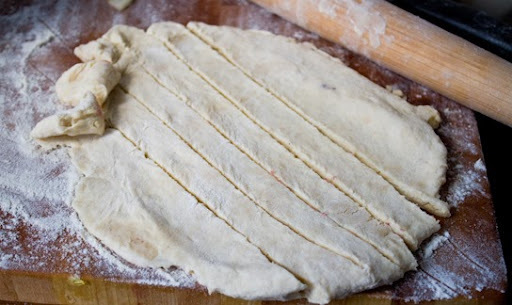 Pull your dough from the freezer - allow to soften slightly if too hard to roll out. 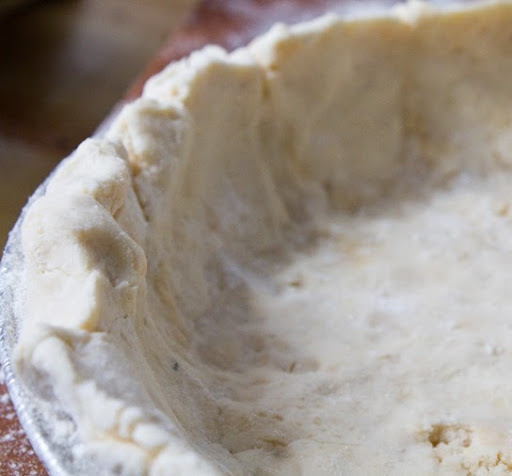 Roll out dough and transfer into a pie tin. The crust doesn't have to be perfect when you transfer. You can always mold the dough in the tin with your fingers. Press it out through the sides as you like. dough balls, pulled from the freezer..
Slice into strips for lattice design if you'd like.. Warm filling poured into 5 minute baked crust shell..
Sprinkle with sugar and bake. My baking time usually goes like this: 15 minutes at 400-425 degrees, then an additional 20-25 minutes at 350 degrees. Perfect, buttery, classic, rich vegan pie crust.